This thorough revision of a classic handbook is designed primarily as a guide for students writing papers or theses on musical subjects, but is useful for anyone writing about music for publication. It deals with the mechanics of scholarly writing, citation and documentation, as well as the nuts and bolts of punctuation and abbreviation. But it is also a sensible guide to good writing. 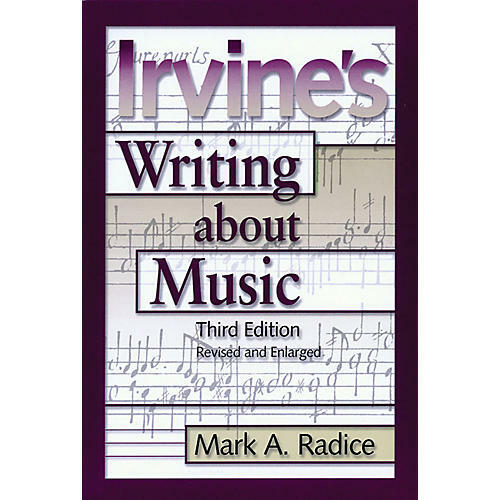 In this edition, Mark A. Radice has taken into account all the technological changes that have transformed writing and publishing while preserving Irvine's voice. He has also added a new section on incorporating music examples in a written text.